Hot Coco Joy is an incredible coconut milk hot chocolate that will warm you up and satisfy your chocolate cravings! By using coconut milk instead of regular milk, it’s perfect for those who are lactose intolerant. Read on for a sugar-free and low-carb option! 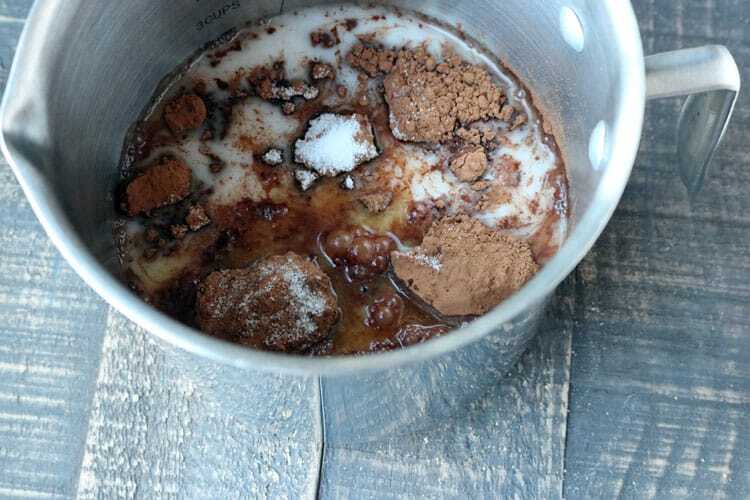 Move over, hot chocolate… this Hot Coco Joy recipe is Hot Chocolate 2.0! It has so many tasty ingredients you won’t find in “regular” hot chocolate, specifically three different coconut-based products: coconut milk, coconut water, and coconut oil. Coconut-based products have a wonderful natural sweetness, so using all three lends such an amazing sweetness boost to this hot chocolate. Add some cocoa powder, vanilla extract, sea salt, and a bit of sugar, and you have yourself two unbelievably rich and creamy mugs of coconut milk hot chocolate! You don’t want to miss this tasty coconut milk hot chocolate drink. There are benefits coconut water has that are tremendous. Paired with coconut milk nutrition facts, you will be enjoying health benefits as you sip this delightful hot drink. Where Can I Buy Coconut Milk, Coconut Water, and Coconut Oil? 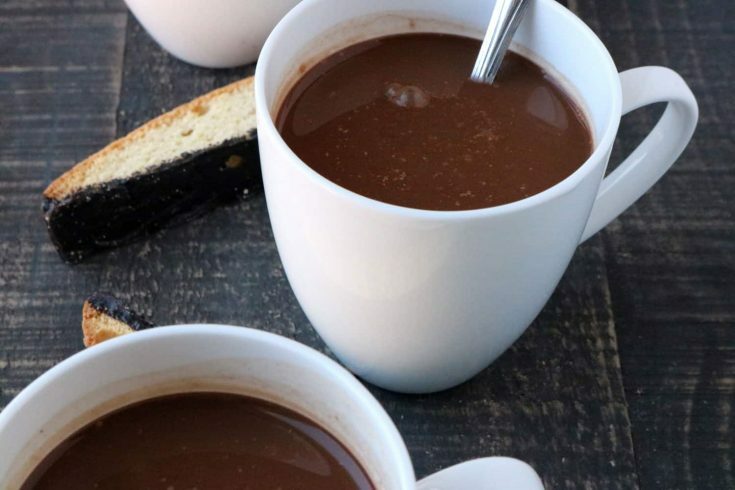 If you would like to make sugar-free coconut milk hot chocolate, you’re in luck: this recipe can be easily modified. Coconut milk, coconut water, and coconut oil all contain natural sugar, but no added sugar, so all you have to do is use a sugar-free sweetener instead of the 3 tbsp. sugar. Stevia is a popular natural sweetener choice, or you can use something like Splenda. By using a calorie-free sweetener instead of sugar, you will save about 70 calories per serving of coconut milk hot chocolate. Another benefit of replacing the sugar is you make this into a low-carb hot chocolate. Without the sugar, each serving contains only 9.5 grams of net carbs because coconut products are naturally low in carbs. Finally, you can make this into spiked hot chocolate by adding 1/2 cup coconut rum to the recipe (1/4 cup coconut rum per serving). Yum! 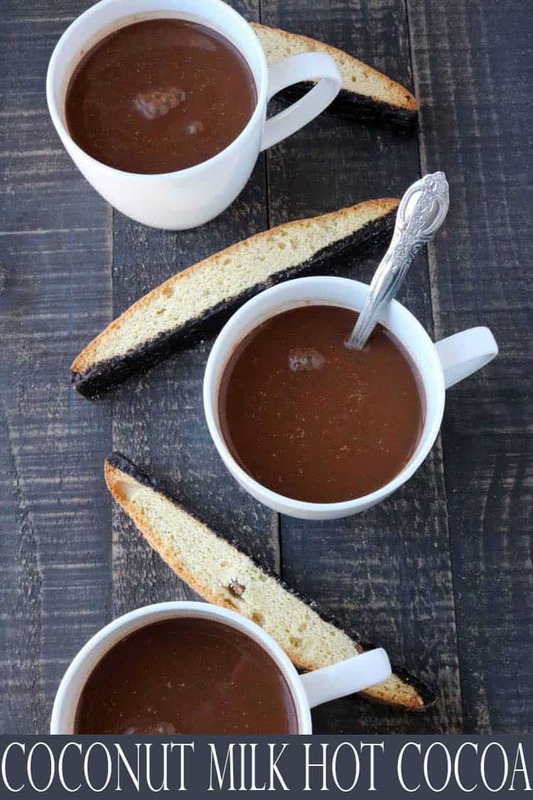 As you can see, there are many ways to make this coconut milk hot chocolate recipe perfect for you. For more coconut recipes, try No-Bake Pecan Coconut Clusters and Coconut Chocolate Pudding – Coconut Toasted to Perfection. Enjoy! 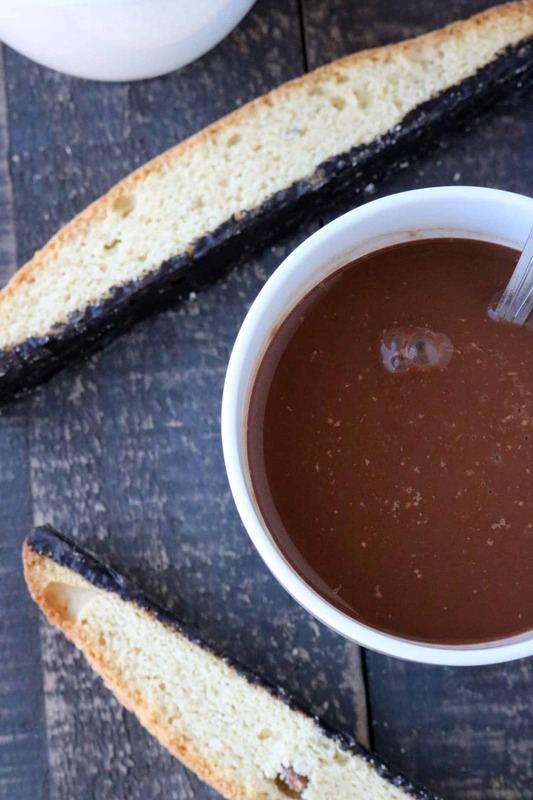 This coconut milk hot chocolate has everything you'd want in hot chocolate! In a small saucepan, whisk together cocoa powder, coconut sugar, salt, coconut oil and half of the coconut milk until well blended. Whisk in the remaining coconut milk until smooth, then whisk in coconut water until blended. Bring mixture to a simmer over medium-low heat, whisking occasionally. Whisk in vanilla. Divide between two mugs. Add 1/2 cup of Coconut Rum to spike your hot chocolate! Looks yummy!! Visiting from Two Purple Couches! I’ve just recently discovered coconut products and I have to say, I’m loving them. They make so many things taste that much better! This is a great looking variation of cocoa and I bet it tastes even better than it looks. Looks and sound s so yummy! Thanks for linking up to Merry Monday! Sharing on Twitter! Have a great week! Looks delicious I haven’t mixed coconut milk with cocoa, I need to try it, thanks for sharing with Hearth and soul blog hop. pinning and tweeting. Your Hot Cocoa looks delicious! Hope you had a great Valentine Weekend and thanks so much for sharing with Full Plate Thursday. Your recipe sounds great! Thanks for linking up for Friday Favorites. I’m featuring you this week.